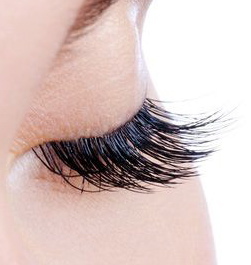 A fresh spray tan or luscious lashes could transform your look this holiday season! Although this time of year brings a new level of chaos, you shouldn’t let your beauty regimens fall by the wayside amongst the party planning, holiday meal making and gift shopping. Feeling your best during the holidays truly does make a difference. You are sure to be reconnecting with family and friends, which means looking and feeling your best is important! Adding a little color back to your completion or some length to your lashes could be just the end of the year pick me up you need. Book your appointment with us today! In order to maintain your sanity, plan your beauty treatments ahead of time. Not only will this ensure you peace of mind but it will also secure your place in our busy schedule! Don’t let the holiday madness wear you down. Come and see us soon so you can put your best foot forward this season. Categories: Spray Tans | Tags: best spray tan in denver, best spray tanning in denver, forever young spray tanning, lash extensions at FYBC, lash extensions in Denver, lash tint denver, lash tinting in denver, lashes in denver, spray tanning denver, spray tanning in denver, Spray Tans | Permalink.